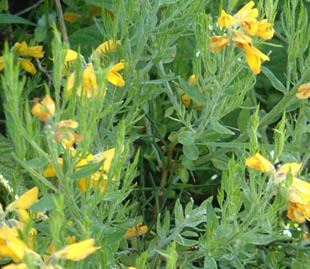 It is native in a few sites in Cornwall and a few other places. It is planted throughout the country. 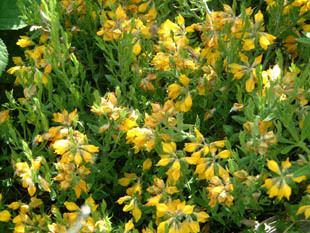 It is found on heathland or grassland on coastal cliffs. 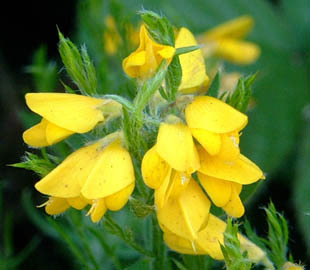 It used to grow on heaths in the South but has disappeared. scrambling herb growing to 50cm or more. 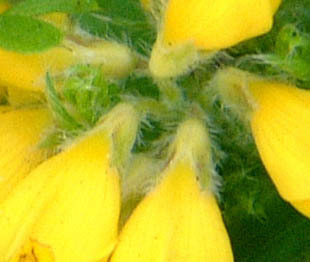 Flowers are yellow (1cm across) and in spikes. The sepals are very hairy. 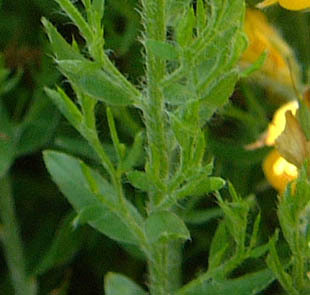 The leaves and stems are glaucous-green and hairy. i.e., no thorns or prickles.